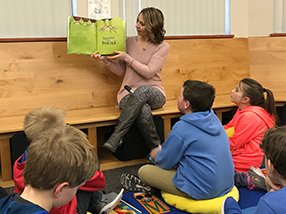 The purpose of the Park 6 District Library is to ensure that students and educators have access to the resources they need for academic research and to provide a safe, relaxing environment for learning and studying. Our friendly and knowledgeable library staff is here to serve the needs of the teachers, staff, and students at Park 6. Please contact us with your library-related questions, and our office staff will direct your query to the appropriate staff member.